This workshop showed me a whole new world of software development practices, it’s one step forward the usual Agile practices. If you do software for real and you feel you could do it better, start with “Software Faster”. Do doubt. Let Dan guide you into a different way of looking at things. Agile methods, continuous delivery and software craftsmanship helped speed up delivery from years to months or even weeks, but then what? Some teams are able to deliver software at a speed of change like you have never seen before, delivering quality software in days or even hours, again and again. So what is keeping the rest of us from doing so? Software Faster brings software delivery principles into the 21st century. You will learn new techniques that both enhance and replace existing agile practices, some of which are counter-intuitive and many of which are completely counter to current “best practise”. Using a mixture of discussion, instruction and exploration you will start to think differently about design, architecture, development and testing, operations, automation and team dynamics, as well as working with legacy systems and integrating with third parties. Are you a seasoned software developer who is frustrated at how slow your “hyper-performing” process feels? Are you suffering with an unwieldy feature backlog, the pantomime of estimation, the card wall where cards go to die, the efforts to automate where it obviously isn’t adding anything? Are you fed up with the artificial commitment of sprints and the unwelcome surprises that still seem to derail your projects? Software Faster looks at advanced techniques and patterns for effective software delivery, for teams who have outgrown “mainstream agile” methods like Scrum and are looking for something deeper. The Software Faster material contains over 40 patterns and techniques, and we’ll cover around 8-10 of these across several topic areas, so there are literally millions of combinations of class. We use a method called *Training from the Back of the Room*, where people work in small groups and teach each another. There are no prepared slides, Dan will draw the content by hand as the course progresses, and builds up a page of further resources and references. These slides and notes will be circulated as a PDF at the end of the class, because they are different every time, tailored specifically to the group. 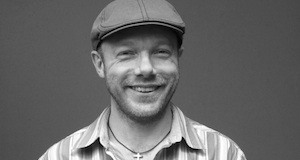 Read our interview with Dan “Second-Generation Agile Methodology: Dan North’s BDD Tales“! Dan has been coaching, coding and consulting for over 25 years, with a focus on applying systems thinking and simple technology to solve complex business problems. He uses techniques from Lean operations, Theory of Constraints and Agile software development to help IT organisations anticipate and respond to the challenges of changing business needs.